They're like London buses, recordings of the Reger Violin Concerto, you wait decades for one and then suddenly two turn up at once. This recording from Kolja Lessing has had far less publicity in the UK than its rival, from Tanja Becker-Bender on Hyperion (DA67892), but from the samples I've been able to hear of the latter on the internet, they seem to be of comparible quality. Lessing has an interesting gimmick up his sleeve, in that he, or rather the Göttingen Symphony Orchestra that accompanies him, use the orchestration by Adolf Busch for the first time on a commercial recording. Given the almost continuous criticism of Reger's music during his lifetime, it is surprising that none of his other works have been subject to similar posthumous revision. Busch's concerns about the concerto focus on the density of the orchestration, and in an effort to rectify matters he drastically reduced the textures in an effort to improve the music's clarity. But any possible increase in clarity can only be at the expense of the music's sweeping symphonic breadth, and that is a high price to pay. Much like Reger's Piano Concerto, the Violin Concerto uses its orchestral forces to highly dramatic ends, so reducing the numbers completely changes the atmosphere. It would be an exaggeration to say that chamber music textures result, but thinning down the orchestra does make the tuttis more liner and less chordal. Personally, I don't think any of this is necessary. The best recordings of the work, and I'm thinking primarily of the one by Manfred Scherzer and the Staatskapelle Berlin under Herbert Blomstedt, have all the clarity you could want. 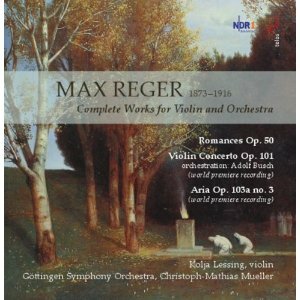 And although Reger does occasionally go to town in the orchestral tuttis, he is always careful to reduce the accompanying textures beneath the solo violin. Although Busch's version was popular in its day, thanks largely to his own performances, it seems obvious why nobody has since chosen to record it before now. That said, the reduced textures certainly suit Lessing's tone. He is an agile violinist, but he's not the sort to go to the extremes of dynamics that the original orchestration would require. His sound is precise and focussed, although his phrasing and rubato always keep the music lively and unpredictable. Mueller ups the tempos slightly from those on other recordings, something he is at greater liberty to do given the reduced textures. So this version of the work is given a good showing for its first time on disc, but I remain unconvinced that it is in any way better than the original. Like Becker-Bender, Lessing couples the Concerto with the Two Romances Op.50. These are given excellent performances by orchestra and soloist alike, and the roundness of tone that is so frustratingly absent in the Concerto is apparent throughout these two short movements. The disc ends with another interesting coupling, the Aria Op.103a no.3, which is also apparently given its first commercial recording here. The piece was originally written for violin and piano, but the orchestral version is the composer's own. It is very much in the wistful, nostalgic spirit of the Romances, and it is a mystery why they should have fared so much better than it on record up till now. The work has an exceptionally integrated structure, its six minutes playing out as a single arch of melody without any award hiatuses or transitions. Again, Lessing's focussed but never pedantic approach is ideal, and even when the music peaks to a crescendo, he retains a valuable sense of intimacy in his playing. Reger's output was certainly variable, but it was also very large, so it is encouraging to make a discovery like this, a richly melodic and perfectly formed piece that has hitherto been unknown to the record industry. Here is hoping that performers of the calibre of Lessing and Mueller continue their search and uncover more such gems for us in the future. 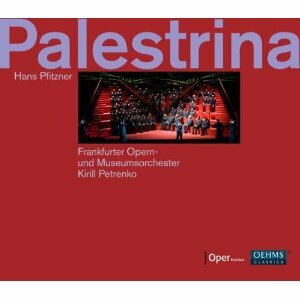 Fans of Die Meistersinger or of Parsifal should check out Pfitzner's Palestrina. There are strong hints of both of Wagner's great operas here, but there are also important differences too. In fact, the greatness of Pfitzner's Magnum Opus lies in the composer's ability to work within a post-Wagnerian language, yet produce something that is both distinctive and accomplished on its own terms. The English-speaking world has had a single chance in recent times to experience the opera live – and blew it. The Royal Opera in London staged the first professional UK production in 1998 under the baton of Christian Thielemann and directed by Nikolaus Lehnhoff. This toured to New York, where is became only the second production ever to be seen in the States. But critical reaction in both countries, to the work as much as the production, was fairly indifferent, suggesting that it could be a very long time before we get another chance to see the work. Audiences in German-speaking countries have been luckier, or more appreciative rather, and the piece has maintained the repertoire status it deserves there. From an English perspective, reading the publicity for this production, which it describes as the first in Frankfurt for fifty years, seems galling to say the least. Still, at least we get a chance to hear it in the form of a commercial recording taken from live performances. By my reckoning, this is about the third commercial recording to be made of the work, after an early 50s version from Bavarian State Opera and an early 80s studio recording from the Bavarian Radio Symphony under Rafael Kubelik. This too is a meagre track record for a work that deserves far more exposure. In fairness, Pfitzner makes some expensive demands on opera houses, writing for a huge cast and an orchestra of Wagnerian dimensions. The three recordings chart an interesting performance history. Although the hero of the work is a Renaissance polyphonist (whose music is regularly referenced in the opera), Pfitzner himself was very much a late Romantic. He was also a bit of a Nazi in later life. That was decades after this opera was written, but even so, the unfashionability of both his musical aesthetics and his politics has led to a decidedly revisionist approach to Palestrina in almost every post-war production. So the three available recordings chart a progression from indulgent Romantic performance to a drier and less extrovert approach. The visual aspect of recent stagings has followed a similar course. Productions during Pfitzner's lifetime (he died in 1949) tend to play it straight, with loyal representations of 16th century clerical garb and monochrome wood-panelled interiors. Since then, the tendency has been towards modest updating, maintaining respect for the church while distancing the work itself from the aesthetics of its creator. Harry Kupfer's new production for Frankfurt is very much in this tradition. The Council of Trent is presented in a moderately updated form. I notice from one of the production stills that one of the scenes takes place in the toilets, presumably a place where the cardinals can discuss their tactics away from the larger assembly. Oh, and Palestrina himself works at a Blüthner grand piano. All of which serves to contemporise the story a little, but without radically revising the subject or setting of Pfitzner's drama. Kirill Petrenko takes a similar approach to the music. He clearly finds many unnecessary indulgences in Pfitzner's score, which he plays down while all the time trying to maintain the spirit of the work. I suspect the musical aspect of this production seemed more revisionist than the staging, but both work to a common aim of reconciling new and old. Can Pfitzner's score cope with this amount of revision? Yes, I think so, just about anyway. The level of detail in the score over issues of dynamics, phasing and tempos is quite high, and Petrenko's seems to follow these to the letter but not to allow himself any further interpretive indulgences. So there is a sense of strictness about the reading, and a lack of rubato that clearly seperates it from earlier versions, but for the most part, the spirit of the music survives unscathed. Vocally, the opera is very much an ensemble piece, so it is well served by a company that can field a uniformly competent cast. None of the singers really excels, but all are equal to the demands of their roles. Peter Bronder gives an emotive but conversational reading of the title role. His voice is not large but is sufficient to project over the large orchestra. He could be a little more selective with his vibrato though, its not a big wobble but it is always there, however short the note. Wolfgang Koch achieves an ideal balance between friendly and menacing in the role of Borromeo. His tone is not as secure as we are used to hearing in his many Wagner roles, but for the most part it is rich and powerful. Britta Stallmeister sings the trouser role of Palestrina's son, Ighino. Her sound isn't very boyish, which may impact on the veracity of her stage presence, but she makes up for this with the almost child-like directness of her emotional engagement. The Council of Trent scene in Act 2 succeeds because of the sheer number of distinctive male voices that Frankfurt Opera is able to find to fill the many parts. To pick out just a few: Alfred Reiter has a rich but surprisingly agile voice in the part of the Pope, Johannes Martin Kränzle brings an impressively sophisticated tone to the role of Morone, and Peter Marsh plays Abdisu, Patriach of Assyria with a convincing but almost comical tone of ageing frailty. As ever, the orchestra of Frankfurt Opera are on top form. Like the singers, they too are put through their paces by Pfitzner's demanding score. The string sound is supple and always unified, the woodwind solos are characterful, and the brass really pack a punch. The sound quality is exceptionally fine, and the engineers make a good job of conveying the atmosphere of live performance, always paying attention to the positions of the singers in the stereo mix. One aspect of this score I hadn't really noticed in previous recordings, but which is crystal clear here, is the amount of bass in the orchestral writing. Pfitzner includes all sorts of unusual bass instruments in the woodwind section, and also puts the double basses to effective dramatic use at key moments in the drama, all of which shines through on this recording as never before. The sound quality here is certainly the finest among any of the available recordings, and the musical qualities brought to the project by almost all the singers and instrumentalists are to its credit. In fact the only issue standing in the way of a hearty recommendation for this recording is its predecessor, the Kubelik version. Perhaps it is a matter of taste, or of the changing times, but I really don't think that Kirill Petrenko understands this music to the extent that Kubelik does. Many scenes require atmosphere and space, and all too often, Petrenko just pushes through onto the next scene. So the angels at the end of the first act are denied the ambience they need to create their ethereal effect, and the preludes to the first and third acts, both of which should set a reflective and melancholy mood, fail to do so. Conversely, the angry orchestral opening to the second act lacks both intensity and clarity, which given the quality of the orchestral playing and the sound reproduction can only be the fault of Petrenko. Also, good as the Frankfurt cast is, it pales in comparison to the absolutely exceptional lineup under Kubelik, led by two of the greatest singers of the 20th century, Nicolai Gedda and Dietrich Fischer-Dieskau. That said, Kubelik's version is not Gospel, and it is refreshing to hear another take on this score, which is always generous in its interpretive opportunities. If you've heard the Kubelik (it's on Spotify), then do have a listen to this version. There are many insights here that will come as a surprise, not least the crucial importance of the bass end of the orchestra to the unfolding of the drama. A useful complement then to the Kubelik version, but one which only goes to accentuate just how good that earlier recording is. Clarity, precision and discipline are qualities all too rare in recordings of Schubert's piano music. His infectious melodies are usually more than the performer can resist and the tunes end up leading the tempos and phrasing. But Shai Wosner takes a different approach. He knows that Schubert's melodies don't need any help, so he makes no effort to mould the individual movements around their themes. Instead he prioritises the architecture. The structure of Schubert's movements is rarely innovative, but his use of traditional forms is always effective. From the first, quiet notes of the D840 Sonata it is clear that Wosner is thinking ahead and looking towards the movement's climax. And when the climax comes it is earth-shattering. The lack of rubato and the extreme dynamics make Wosner's playing seem all the more insistent – obsessive even. This, combined with the relatively dispassionate approach to the melodies, makes the readings of the two sonatas almost symphonic. In his liner notes, Wosner compares the opening movement of the D840 with a Bruckner symphony. Hearing anybody else play the work, the comparison would seem far fetched, but Wosner demonstrates exactly what he means. Given the austerity of his approach, it is ironic that Wosner has chosen works inspired by folksongs and rustic country life. He explains that most of Schubert's life was spent in Vienna, but that these works are associated with his few stays out of town, most notably as a tutor to the Esterházys. Perhaps his intention was to save this music from the pastoral and excessively Romantic readings you find elsewhere and to locate it firmly in the Classical era. In fact, Wosner's dynamic range, the power of his instrument (a Steinway D) and the sophistication of his touch all make the results sound thoroughly modern. His touch is precise and clear yet infinitely varied in texture and colour. This is where subtly comes into Wosner's Schubert. Where most other pianists would make their mark on this music through the shaping of the phrases, Wosner relies on the sound that he makes at the piano to set himself apart. And the clear, ringing tones he achieves in every register and dynamic make each moment of this recording a delight to hear. The quality of the sound recording helps to get this essential aspect of Wosner's playing across. 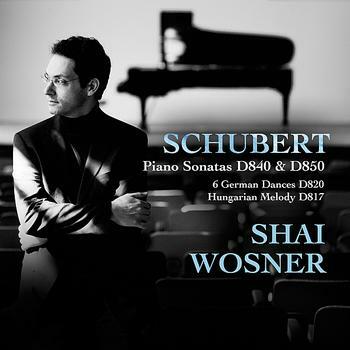 The bass end of the piano, not a region usually associated with Schubert, is often put to dramatic use, both in thundering climaxes and distant pianissimos. The presence and immediacy of the piano's tone down here really allow Wosner to create the atmosphere he is looking for. So what now for Shai Wosner? This disc is easily the equal of his previous offering on Onyx, which paired Brahms with Schoenberg to impressive effect. I could imagine both Brahms and Schoenberg appreciating this kind of reading of Schubert, the clearest precursor to their disciplined Romanticism. It would be fascinating to find out what Wosner would make of Mozart's Sonatas. As here, there would no doubt be a certain tension between the text and the interpretation, but this pianist has a knack for making the familiar sound fresh and new, so a few more discs of the core Viennese repertoire would be very welcome indeed. 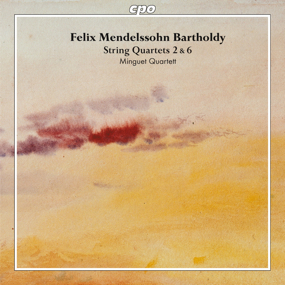 The Minguet Quartet combine precision with passion in this, the first volume of their Mendelssohn quartet cycle on the CPO label. The 2nd and 6th Quartets are given disciplined but dynamic performances, lively and engaging, and without any excesses of dynamics or rubato. The first movement of the 2nd Quartet provides an excellent demonstration of the many musical virtues ahead. The adagio introduction is atmospheric, without being overly slow, and the allegro that follows is given drive and energy by the crisp articulations and the sheer precision of the ensemble and tuning. After hearing this recording and then going back to some of the great earlier accounts, from the Berg and the Ysaÿe Quartets for example, it becomes clear that the Minguet Quartet are presenting the music with the absolute minimum of distractions. The way they shape the phrases is understated yet always clearly defined. Their vibrato is almost imperceptible but contributes to the warmth of their tone. And their approach to climaxes and dramatic development sections is based on even pacing and precision, allowing them to give the music its full dramatic weight while never compromising the elegance of their tone for the sake of the louder dynamics. The ensemble has a tight, homogeneous sound, a product of the recording perhaps as much as the playing. This means that when the melody is transferred to the viola or cello it is as if a smooth transition has been affected from the violin register down into the middle and bottom of the group. Lesser quartets might be at risk of sounding monotonous in this acoustic environment, but the Minguet players are never complacent about their textures and tone colours, and every movement and phrase is given a subtly different shading. Detail and pinpoint accuracy are not qualities usually associated with overtly Romantic readings, yet this recording manages both. Mendelssohn moves between dreamlike reveries and turbulent climaxes, and the Minguet players are fully committed to expressing these moods at both extremes. Tempos are occasionally faster than you might expect, and that helps maintain the sense that the players are not abandoning themselves to the moment and are keeping everything within a tightly integrated structural framework. Some composers might suffer under that level of control in performance, but for Mendelssohn it seems ideal. This ENO Pelleas dates from 1981, just as the company was gearing up for its triumphant 'powerhouse' decade. One or two names here, most notably Elder and Tomlinson, would go on to be central players in that astonishing run of productions. And there is a similar sense of magic here too. Everything comes together to make this an impressively coherent and atmospheric reading. Those in favour of opera in English will be grateful to Chandos, and to the ever-philanthropic Peter Moores, for this commercial release of an English language production, a rarity by any measure. Those with an allergy to the idea (and that includes me) will be pleasantly surprised at what the vernacular can offer this opera. The clarity of the diction from every singer makes the English translation worthwhile, and while the libretto (English only) is included, there are very few occasions when the listener might feel the need to reference it. The translation, by Hugh Macdonald is excellent. It flows with the same lilting prosody of the original and never grates against the agogic structure of the music. Perhaps one of the reasons for the success of the translation is the fact that Debussy, unlike Wagner, always keeps the music at arms length from the words, allowing the libretto to play out more as a play, whatever language it is sung in. The cast is strong, especially the leads. Robert Dean has a rich tone as Pelleas, although he sometimes struggles at the top. Eilene Hannan has the most French diction among all the singers in her portrayal of Melisande. Her tone often tends towards speech, all the better to hear the words. Sarah Walker has an expansive and emotive tone as Genevieve. It is interesting to hear John Tomlinson, here just about to reach his high plateau as a singer, which he as only just begun to descend from in the last year or two. He puts more emphasis on the individual words than the other singers, and is perhaps a little too emphatic at times. He also puts on a surprising amount of vibrato, not something we associate with him these days. The only weak link in the cast is Rosanne Brackenridge as Ynoild, whose tone is often strained and whose high notes are often flat. Mark Elder gives a relaxed yet precise reading of the score, with plenty of emotion and without any jarring gear changes at the transitions. He maintains an ideal balance between the stage and the pit, and also gets an impressively emotive sound from the orchestra, with plenty of swooning from the strings when the score demands. Sadly, neither the orchestra nor the singers are well served by the audio quality. This is one of the many BBC opera recordings from the 80s and 90s that sound as if they were made at least 20 years earlier. The recording was only made for broadcast, but even so, the murky underwater quality to the recorded sound does nobody any favours, least of all the violins, whose range of colours is seriously limited by the sound reproduction. But we should be grateful the recording exists at all, as it documents a performance that was no doubt a pleasure to experience. Given that it was only 30 years ago, it seems a little premature to give photographs of the artists in sepia, especially as most of them are still working. Another link between past and present is Hugh Macdonald, who returns to give informative programme notes. A little more information about the production itself might have been nice, especially as this is an 'archive edition', but otherwise this is a handsome package, and should be of interest both to those who remember the show and those who have grown to love Debussy's opera since. Listeners unfamiliar with the Canadian Baroque music scene are in for a pleasant surprise with this disc from one of the country's leading period instrument ensembles. 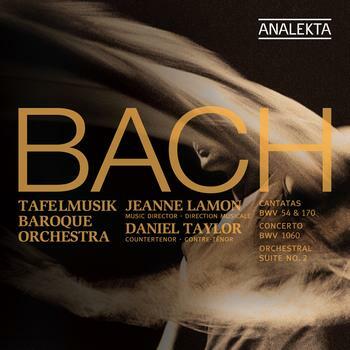 The all-Bach programme combines two of the composer's four surviving alto cantatas with an orchestral suite and a double concerto transcribed from a concerto for harpsichord. It's quite a populist programme, suggesting that it is unlikely to be the start of a major series, which is a shame because the playing and singing are excellent throughout. Period instrument Bach is almost always flowing and atmospheric, but the composer's orchestral textures have never sounded quite as easy-going as they do here. We are in a warm church acoustic, and none of the musicians make any effort to compensate for the roundness this gives to their sound. 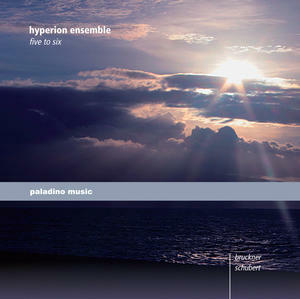 It is too easy to relax into this music, and if you do, you'll miss all sorts of subtleties and details. The oboe and oboe d'amore playing of John Abberger fits well into this aesthetic, and he never exaggerates any phrasing or articulations. But if you listen closely, it is all there, and the subtle dynamic nuances he uses shape the phrases decisively. The orchestra's leader and artistic director is the violinist Jeanne Lamon. She is a soloist in both the Suite and the Concerto (the concerto is arranged for oboe and violin from BWV1060) and she has just enough edge in her sound to stand out from the ensemble. She is also a little more forceful in her articulation, and in the Suite in particular it is clear from her playing that she is leading the ensemble from the violin. The young countertenor Daniel Taylor is rapidly establishing a reputation for himself in Baroque performance on both sides of the pond. His is about the most effeminate countertenor voice I've ever heard, and you could easily mistake him for a female alto (and I'm not talking about his long hair). Given the controversy that more nasal-sounding countertenors can face, it is probably fair to say that this is the kind of voice most likely to please the most listeners, myself included. Like the other soloists, the roundness and warmth of Taylor's tone and articulation make him the ideal collaborator with this orchestra. And the string ensemble are always sensitive in their accompaniments, giving him the space to produce relaxed but alluring performances. A recommendation then for this disc of Canadian Bach. It is difficult to pinpoint exactly where it sits on the spectrum of period instrument performance, but it is certainly at the atmospheric rather than the analytic end, so more Masaaki Suzuki than Ton Koopman. But the textures here flow even more gracefully than in Suzuki's recordings. That can lead to disengagement by the listener, who could be forgiven for treating it as background music. But resist the temptation and listen hard, because there is so much beautiful and artistically satisfying detail here that never demands your attention but always deserves it. Composers from former Soviet republics have a surprisingly hard time finding audiences in the West. A number of Russian conductors working in the UK try to programme their works, but almost always face a hostile reception from the critics, who either don't understand or (more likely) don't care about the recent musical developments in the East. Fortunately, the Louth Contemporary Music Society continues to champion many of these composers, to commission and perform their works, and most importantly, to record them for wider dissemination. It would be an unreasonable demand on such a small organisation to keep us up to date on every development from Eastern Europe and post-Soviet Asia, but the favoured house style, an ever-more sophisticated and atmospheric post-minimalism, is certainly one of the dominant trends there, making these roughly annual updates all the more useful. The four composers represented on this disc are all from different countries in central Asia: Yusupova from Turkmenistan, Yanov-Yanovsky from Uzbekistan, Ali-Zadeh from Azerbaijan and Gubaidulina from Tatarstan. The stylistic consistency between their works is surprising, and it is difficult to say if this is the result of continuing stylistic agreement between these neighbouring countries or just careful programming. An important unifying factor is the use of solo cello in almost every work. The cellist, Ivan Monighetti, is very much the focal point in most of these works, and his lyrical and technically-assured performances are a key factor in their success. The first piece, Kitezh-19 by Iraida Yusupova is for solo theremin and tape. Strangely, this is the ideal combination to introduce the cello works later on, as the sound of the theremin is so similar to the cello. Both instruments, at least the way they are played on this disc, produce long, beguiling threads of melody, warmed with a very slight vibrato. For most of Yusupova's score, the theremin just holds a single note, while bells and plucked string instruments (shamisen? sitar?) are heard on the backing. The soloist is Lydia Kavina, one of the theremin's most prominent exponents and great grand niece of the instrument's inventor. She puts in a fine performance here, although there is little in the score to test her skills. Works by Yanov-Yanovsky, Ali-Zadeh and Gubaidulina present the solo cello in three very different contexts: with ensemble and tape, unaccompanied and with guitar quartet and double bass. Ali-Zadeh's work, Ask Havasi, is the solo work, but it lacks nothing in terms of expressive focus and intensity. The consistency of the recorded sound is another important factor in the coherence on this programme, and the warm church resonance that the cello is given means that its unaccompanied sound is never thin. That said, there is something quite grounding about this unaccompanied work. There are no extended performing techniques, so the music has to rely instead purely on its melodic properties, which are sufficiently beguiling to carry the piece. By contrast, Gubaidulina's Repentance sets the solo cello against an ensemble made up of double bass and a group of guitars. Although that's a counter-intuitive mix, there are a number of points of aural similarity. The cello's pizzicato, for example, brings it closer to the ensemble, and Hawaiian style slides from the guitars link them with the cello's portamento. As with many of Gubaidulina's scores, this is a long and intensely spiritual piece (even with Hawaiian guitars!) and at 23 minutes it does outstay its welcome a bit. But there is a lot of excellent music here, and I particularly like the Orthodox chants picked out on plucked strings – strong hints of Schnittke there. Dmitri Yanov-Yanovsky provides two works, Night Music a work for cello, ensemble and tape written in 2000, and Morning, commissioned for this project and completed in 2011. 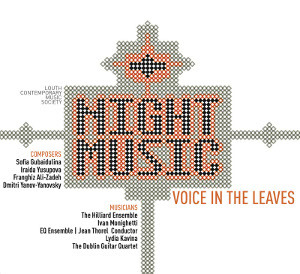 Night Music is the more accessible of the two. The large ensemble and the tape allow the composer to explore a wide range of timbres, although if you listen closely most of the timbral variety is actually coming from the cello. For all its minimalist ambience, Night Muisic has a clear, progressive structure, a musical journey carefully paced from beginning to end. That helps is to justify its 16 minute span, although it raises suspicions that, innovative as the textures are, the structuring is actually quite conventional. There's nothing conventional though about Morning, the work Yanov-Yanovsky wrote specially for this project and that ends the programme. The piece is for singers – The Hilliard Ensemble – and a group of instrumentalists, in which the cello again predominates. The singers perform a setting of words by the American poet Robert Lax, harmonised to slow but dissonant chords. It is so rare to hear dissonant, or even non-tonal, choral music that the singing jumps out of the textures, perhaps more than it is intended to. But the singers are more than up to this sizeable task, and perhaps the composer heard some of their excellent Gesualdo recordings before deciding just how much dissonance he could get away with in the choral writing. But it is a fascinating piece, and an ideal closing work for the programme, fitting in as it does to the overall mood, but adding something unsettling and new to it as well. A taste of what is to come on the next LCMS album perhaps? Let's hope so. Thomas Adès may seem too young to warrant an anthology, but in fact he is already 40, and with 20 years of solid compositional achievement behind him, the discs were easy to fill. The release serves two functions, or rather two audiences. 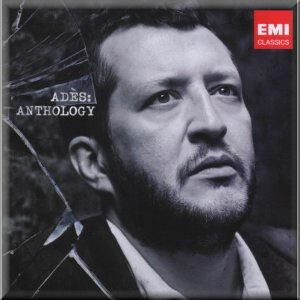 Anybody not yet familiar with Adès' music will get all the introduction they need here. But there is also a surprise for those who know his work: the first two pieces, both for piano, are new, and are given here in a debut recording played by the composer himself. Powder her Face – Concert Paraphrase may not technically be completely new, but this is far more than a simple arrangement of the best bits of the composer's first opera. The paraphrases by Liszt are clearly a model for the piano work Adès has created. Stravinsky's Petrushka arrangement also springs to mind. Like Liszt and Stravinsky, Adès distils the musical essence of his earlier work, and then presents it in a completely different form, as a virtuoso recital piece. Various stylistic allusions are drawn from the work, which expand the music's vocabulary and give it a sense of cultural context. The piano textures are classic Adès, Modernist and often acerbic, but fizzing with energy and constantly changing rhythm. The Mazurkas are similar, but here Chopin rather than Liszt is the apparent model. Like Chopin, Adès distances himself from the rhythmic expectations of the chosen form, while always presenting music that clearly has a basis in dance. If anything, the Mazurkas are even more virtuosic than the paraphrase. They were originally written for Emanuel Ax, and provide an excellent vehicle for both Ax and the composer himself to display their virtuosity. While this double album is clearly a bargain to be welcomed by Adès fans new and old, it seems a shame that these new recordings had to make their first appearance in such a format. Adès has clearly been a canny signing for EMI, and if the company itself were in better financial condition, these new works would surely have appeared at the head of a full recital CD, Adès as pianist continuing either with some of his earlier works or perhaps some of the Janacek or Nancarrow of which he is so fond. But as it is, the programme following Mazurkas takes us straight back to Arcadiana, a piece both written and recorded in the 1990s. The footnote beneath the first two piano works "first recording" is disingenuous, as it surely means first release. Great as Adès is, I suspect all, or almost all, of the works here have only been recorded once. How fortunate then that the recordings are all to such a high standard. Arcadiana, performed by the Endellion Quartet, and Living Toys, from the London Sinfonietta under Markus Stenz, are the only recordings here on which the composer does not appear, either as pianist or conductor. But both are played with such energy and stylistic sympathy that you can certainly feel his spirit pervading the studio. I won't go into any detail about the previously released tracks, except to say that Adès' genius shines through in every piece. My two favourite Adès works are both here, the Piano Quartet, which he plays with the Ardittis, and the Violin Concerto, played by its dedicatee Anthony Marwood. In both cases, Adès writes complex and gritty music, yet with such dexterity and impulsive musicality that the results are surprisingly easy to listen to. Any anthology like this is going to have to disappoint with some omissions. Tevot, In Seven Days and any of the instrumental arrangements from The Tempest would have made welcome additions. Also, when EMI released the Mahler 5 from Rattle's first concert as principal conductor the Berlin Philharmonic, they omitted the performance of Adès' Asyla that preceded it. This might have been a good chance to make amends, but no. The liner consists of an informative, but frustratingly brief, essay from Tom Service, followed by an interview with the composer by Ian Bostridge – a very abstract and philosophical affair. No texts are given for America: a Prophecy, nor can I find them on the internet. Otherwise this an excellent compilation. Whatever their current difficulties, EMI have done well by their star composer, pianist and conductor, and this set gives ample scope to appreciate all those skills. Here's hoping that the next 20 years of Adès' career live up to the expectations set by the extraordinarily accomplished music here. British symphonies played by American orchestras are a rarity. Elgar's First has a toehold in the repertoire, but otherwise American listeners have had to rely on recordings by British orchestras to hear the diverse variety of symphonies that British composers have produced through the 20th century. In the early 1990s, the Bournemouth Symphony Orchestra planned to tour the States with Walton's First, but when it became clear that audiences were going to be put off by it, they fell back on Elgar's First instead. But Walton's First Symphony has recently been performed by many top American orchestras under the baton of an unlikely proponent, Semyon Bychkov. By all accounts, these performances have been electric, and have begun a new chapter in the history of British music in the States. 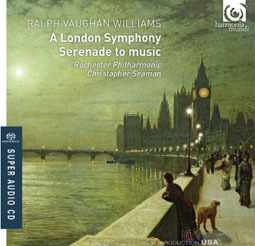 So Harmonia Mundi have chosen an excellent time to record Vaughan Williams' London Symphony with an American Orchestra and presumably for American audiences. The conductor though is thoroughly British. Christopher Seaman has deep roots in the British orchestral tradition, and a letter reproduced in the liner of this disc gives an encomium for a London Symphony performance of his from no lesser authority than the great Adrian Boult. Seaman also has a long-standing relationship with the Rochester Philharmonic, having only just stepped down after 13 years as the orchestra's artistic director. And the orchestra give him everything. The playing from every section of the ensemble is first rate. Particular mention should go to the soloists in the middle movements, the harp, oboe and horn. The tuttis are always controlled and defined, but with plenty of punch too. The Rochester Symphony don't have much of an international reputation, but on the basis of the playing here, they certainly deserve one. Christopher Seaman brings an English sensibility to this music, and it is easy to hear why Boult admired his VW. But there is a stylistic clash evident throughout between the conductor and the orchestra, and to these British ears it is not always constructive. The orchestra give a thoroughly American reading of the score. Everything is bold and clear, the textures unambiguous, the mood and atmosphere always clearly defined. As a result, the opening lacks mystery, the ending seems arbitrary, and for some reason the Scherzo lacks vigour. Seaman might occasionally indulge himself in whimsical asides, but his players iron out any potential irony or self-effacement. It seems churlish to complain, especially as the players compensate with precision playing that few British orchestras could match. But it is always apparent that this is an American reading, which given the thoroughly English nature of this music can seem perverse. But if the recording is, as I suspect, aimed primarily at American listeners, then the cultural bridge that it represents may ultimately work in the music's favour. Those big-boned orchestral sounds from US orchestras always play better to home audiences than they do in Europe. And for all its local colour, the music is great enough to accommodate a range of different readings. Serenade to Music is the filler, and it is performed in a similar way. The brief wind solos in the opening bars are a particular treat, but the choir, when it enters, is more than able to hold the centre stage. The SACD sound quality is up to Harmonia Mundi USA's usual high standards, which must be one of the reasons why the orchestra comes off so well. Surprisingly, the choir is treated by the sound engineers as a homogeneous unit, and given the sophistication with which VW makes each singer simultaneously a soloist and a chorister, that feels like a missed opportunity. But when the individual singers are given actual solos, each comes across with a distinctive musical personality. A couple of the female soloists put on more vibrato than I like to hear, but that does add an air of authenticity. Each time one of these wobbly high-register vocal lines appears, I'm transported back to the British operatic sound of the 40s and 50s. Beecham, Wood, Boult and probably VW himself would all have approved, but for the first time in this recording, I wished the performers would just be a bit more American about things. Bruckner's String Quintet is a great piece, but it's a tricky one to couple. The only other significant chamber work in the composer's output is an early String Quartet in C, the curiosity value of which hardly justifies its repeated appearances on disc with the Quintet. The String Quintets of Brahms also regularly appear with the Bruckner, but aesthetically they are from opposite ends of the Viennese spectrum and don't really have much to say to each other. Schubert, however, is an inspired choice. Orchestral concert programmes coupling the symphonies of the Schubert and Bruckner can do a great job of highlighting the progressive nature of Schubert's art and the Classical structures underpinning Bruckner's. Schubert's Quintet in C would be the obvious choice here, but it is far too long. So instead, the Hyperion Ensemble have opted for an arrangement, by their violist Firmian Lermer, of the F minor Fantasie, one of the masterpieces of the piano duet repertoire. That said, the Bruckner is definitely the main attraction here, so it is a natural choice to programme it first. In deference to the coupling, the Ensemble give the work a thoroughly Classical reading. Phrases and forms are always clearly and carefully articulated. Dynamics are supple but never extreme. And, as in any great Schubert performance, this Bruckner is very much led by the melodic lines. This can mean that the textures become top-heavy, and it is curious that even with two fine viola players, the violins still tend to dominate most of the textures. The resulting textures can often sound thinner than on other recordings, especially in the climaxes to the outer movements. The inner movements come off better. The Scherzo has that combination of rustic charm and effortless sophistication that only an Austrian ensemble can provide. The Adagio, while its tempos can occasionally feel rigid, succeeds thanks to the sheer beauty of the melodic playing, especially from the first viola and the cello when each gets their turn in the spotlight. Expanding the ensemble to six players for the Schubert may have been suggested by the number of notes that the composer distributes between the two pianists in the louder passages. Fortunately, the arranger is quite sparing with his resources and the textures never feel weighed down by the number of players. The music is certainly dramatic when it needs to be, but in general the interpretation is quite laid back. Two pianists would need to work hard to create the variety of textures and moods this music requires, but six string players are able to do the same without over-exerting themselves. Some listeners may feel that symphonic drama is lacking in both works. The compensations though are precision, clarity and deep emotional engagement with the melodic lines. As many conductors have demonstrated, and I'm thinking particularly of Gunter Wand, a programme that combines Schubert with Bruckner is invariably dominated by Schubert's artistic persona. And it is just so here. Bruckner's String Quintet has never sounded so Classical, so well structured and so civilised. Plenty of recordings of the Quintet present it as a symphony in microcosm. This one makes a convincing case for treating it purely as chamber music. Previous installments in the Hamburg Ring Cycle have been a hit and miss affair, but this Götterdämmerung is a real success. Even without visuals, it is a dramatically coherent account and the on-stage chemistry between the singers really comes across. And almost every performer here is in the top league of modern Wagner interpretation. Nobody is perfect, of course, but the minor faults from each of the singers, and from each of the orchestral sections, does little to diminish the overall achievement. Every member of the cast has something impressive to bring to this production. Christian Franz is an expressive and believable Siegfried. His performance suffers from some rhythmic inaccuracies in the first act, but he has no trouble with the high notes, nor with projecting across the orchestra. Deborah Polaski is similarly secure in her pitching as Brünnhilde. I found her performance very endearing, her natural tone, even at the top, making her the focus of attention in all the scenes she sings. This allows the Immolation Scene to be all the more definitive, with the audience really feeling Brünnhilde's transcending compassion. The small role of Waltraute is given a similarly endearing reading by Petra Lang. She is sometimes a little sharp on the top notes, but her tone is direct and her singing always filled with emotion. The baddies are just as convincing. This might well be the first recording of John Tomlinson singing Hagen, and if it is, it is worth buying for him alone. He has the best Hoihos in the business, and the passing years have done little to diminish their power. Wolfgang Koch is similarly menacing as Alberich, although he doesn't quite have the depth of tone in the lower register, and in their scene together in Act 2, he is comprehensively outclassed by Tomlinson. Gunther and Gutrune, not roles that usually attract star casting, are here taken by the excellent Robert Bork and Anna Gabler. Both put in dark and complex readings. There is a sinister air about every scene in which they appear, and both sing with dark-hued tones that underline their malicious influence. Gabler in particular rises head and shoulders above any other singer I have heard in the role, and the emotional complexity of her singing ensures that Gutrune is always presented as a real character and not just a minor functionary of the plot. There is some great ensemble singing from the Norns, the Rhinemaidens and the chorus, and the orchestra is also on good form. The brass make the most of their many chances to shine, and have an impressive tonal palette ranging from round, warm chords to biting, angular interjections. The ensemble in the orchestra isn't always completely accurate, and that might be a factor to separate this recording from the very best on the market. The orchestra is well served by the audio recording, much better in fact than the singers. Everything that happens on the stage sounds frustratingly distant, at least in comparison to the orchestra. The engineering does a good job of representing the physical positions of the singers on the stage, but perhaps goes a little far in this direction, add more apparent distance between the singers and the audience than is necessary. That said, the balance between the singers and the orchestra rarely suffers, thanks perhaps to the impressive casting. For me, the biggest problem with the previous installments in this cycle was Simone Young's interpretation. She has a tendency to let the music flow without intervening to articulate its dramatic extremes. That tendency remains here, but is not as significant. In fact, to a certain extent she is able to turn it into a virtue. Some of the longer passages, especially in Act 1, benefit from her ability to maintain a sense of narrative flow without getting too involved in the individual moments. This also allows the singers the space they need, although the lack of dramatic engagement can be as dangerous for the stage action as it can in the pit. And the set pieces – Rheinfahrt, Funeral Music, Immolation Scene – good as they all are, never feel like the fully committed performances of the greats of yesteryear. 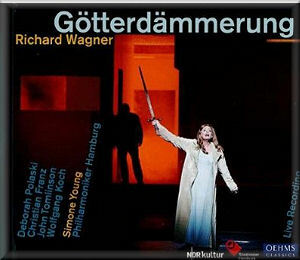 Nevertheless, this Götterdämmerung gets my recommendation on the strength of the singing. A modern recording of the work usually has at least one weak link in the cast, and it is usually either Siegfried or Brünnhilde. Not so here, the principals are all more than up to Wagner's many challenges, and equally surprisingly, the supporting cast is too. Minor ensemble problems in the orchestra and a general lack of dramatic intensity are the downsides, but it's the singing that makes or breaks any Wagner recording, and the singing here is as good as you could want.